I’ve had the Touit 12mm f/2.8 for about ten days now, but have had little free time to try it out. 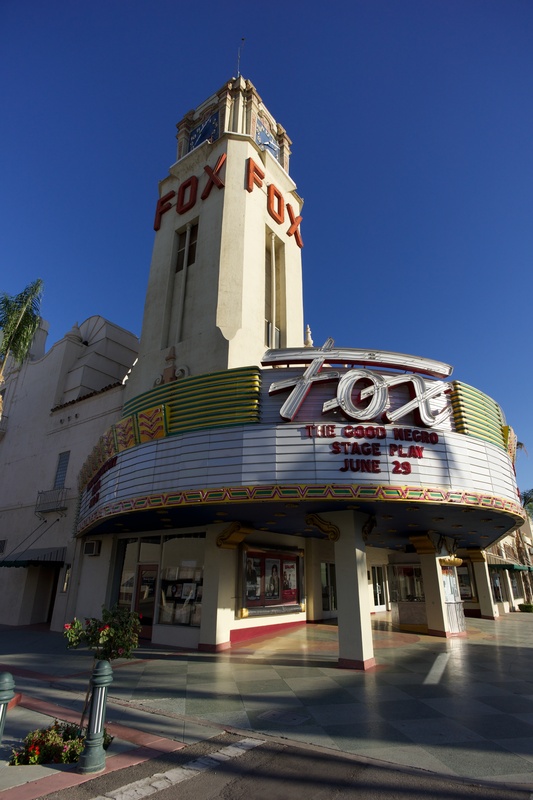 This morning I took it with me and snaped some shots of the famous Fox Theatre in Bakersfield in good early morning light, and then out at one of our local parks I got to play with its bokeh, which isn’t easy to do at 12mm. The lens handles very well, though the hood is very light and easily snaps out of its locked position, which causes vignetting. The focus ring feels great, just like on the 32/1.8, though I still have to give the nod to the Sony Zeiss Sonnar 24/1.8 for build quality, if just barely. The lens does have that unique Zeiss color, though I must confess that it is far wider than anything I’ve ever used before, and I’m just barely into what I expect to be a significant learning curve. I believe that the lens has distortion correction programmed into its firmware as Apple Aperture seems to apply whatever is in the camera. DXO relies on its own lens profiles and doesn’t have one for this lens yet, so the uncorrected image can be seen in DXO. Correction appears minimal though as the lens seems to be well-corrected optically. Not much more that I can say yet as I’ve barely used it. Fortunately I have until the spring to learn fully how to handle such a wideangle before my next trip to Asia. Some personal observations of my own, the 12mm produces a ton of detail, as long as the subject is in focus. Even though this is an ultra-wide lens on a cropped APS-C sensor, knowing where depth-of-field is placed is critical in resolving the most detail across the frame (even stopped down!). 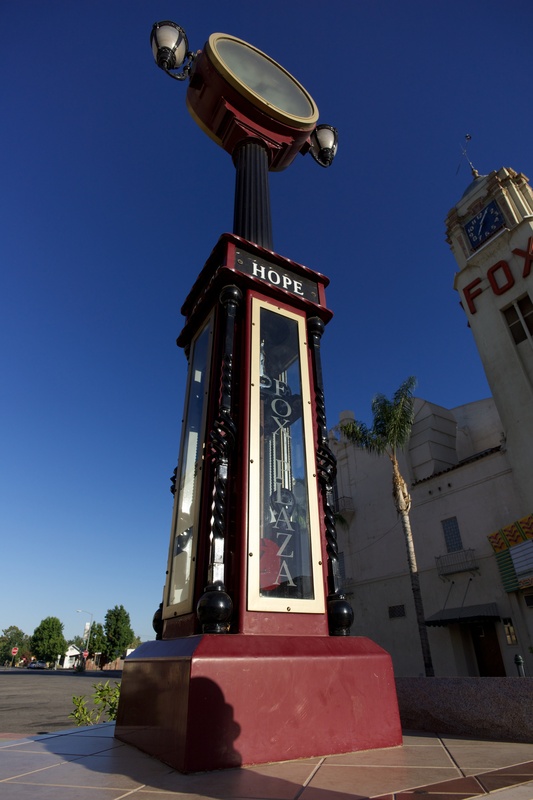 “Hope” looks very soft in places at the pixel level, but this is only due to slight mis-focus, as noted by the sharp granite in the lower right and a few areas on the bottom left of the clock-tower. For this situation, an aperture f/8 or even f/11 might have helped to bring the close subject into total focus. Wide-open at f/2.8 in “Keep Out”, the rust is very detailed in the links that are in-focus. Unfortunately, there seems to be heavy aberrations towards the edges of the frame (take a look at the links on the right), but with the high-contrast material (and being slightly out-of-focus), it’s to be expected. With regards to bokeh, the oil derek blends nicely into the background. I’d like to see some other examples at slightly longer focus distances to take a look how bokeh smoothness might change. All in all, the 12mm looks very nice so far, and I look forward to getting some more examples and a further review from Andrew as he learns this new Zeiss and its ins and outs. To my readers, my own full review of the Zeiss 32mm will come a bit later than I anticipated due to limitations in time and photo opportunities (you can only make so many photographs of flowers, after all). Regardless, I’ll post it, along with a good comparison to the competitively-priced Sony 35mm f/1.8 OSS, as quickly as possible. That’s all for this post, guys and gals, thanks for dropping by!